The approach to wardrobe plan is the same for every person, men, women, student, parent, executive, or anyone else. Moreover, it is also same for those with limited budget, and those with no limit on their budget. 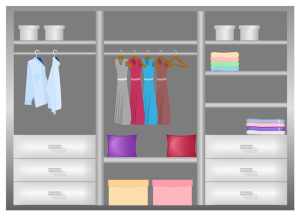 Edraw software helps you easily make your own wardrobe plan. A wardrobe plan is a strategy, game plan or formula for meeting your clothing needs. It can be simple or very detailed, but it should be designed to meet your own needs. Having a wardrobe that works for you means you can find something to wear quickly each day, and you have clothes that are appropriate for your life style. It means you like the clothes you have, and many items can be worn together. 1. Evaluate your lifestyle by writing down where you spend time and what you like to do. 2. Begin with basic clothes and keep it simple. Avoid fads and look for quality. 3. Choose flattering neutral or basic color for your basic clothing items. 4. Your life style dictates wardrobe expansion and changes in the basic plan. How to Create a Wardrobe Plan? 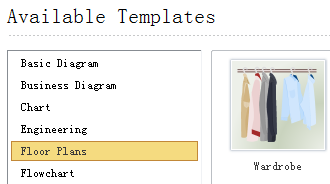 Edraw includes lots of vector wardrobe plan symbols created to meet different requirements of users. 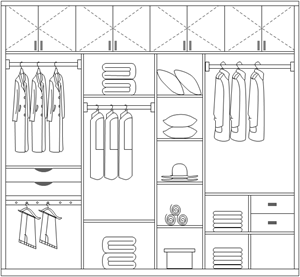 In Edraw library, wardrobe plan symbols help you easily depict cabinet dimension, chest, horizontal board, vertical board, clapboard with size, horizontal clapboard, vertical clapboard, top box, drawer, etc. 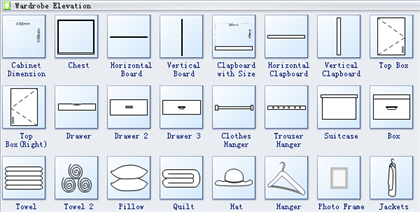 Go to Wardrobe Plan Symbols page to have a general knowledge about the symbols. Moreover, you may check out your perfect wardrobe designer here. 1. On the File menu, point to New, point to Floor Plans, and double click Wardrobe Plan template. A new drawing page will open. 2. Go to the library pane on the left of the canvas. From Wardrobe Elevation, drag the shape you need to design your wardrobe. Print: When a wardrobe plan is done, it's easy to print and share with more people. On the file menu, point to Print to set for print options. You can change settings with fewer clicks and see the print preview in real time. Here is a complete example of wardrobe plan created by Edraw. Edraw can also be used as Evacuation Diagram Software.